Today I have something very special for you. 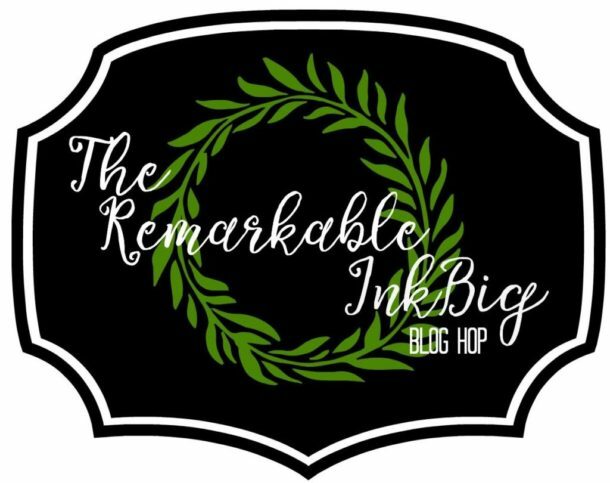 A Halloween Blog Hop. 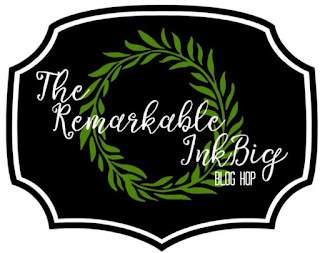 But not just any blog hop, but The Remarkable InkBig Blog Hop. I am so excited to be involved in this. I know not many people celebrate Halloween in Australia, but it is on the increase, Anyway, it's a good excuse to but lots of lollies and then have to eat them yourself when you don't get many Trick or Treaters calling...hehe. I thought about what I was going to make for this and realised that a card would probably be a bit silly. How many people would actually send a card for Halloween. It's more about the treats. So I decided to make a rectangle pizza treat box. I realise that this would be a bit much to do for every Trick or Treater, but would be great for a Halloween gift for a teacher or sports coach. I have recently discovered the Eclipse Technique and am love with it. And as I don't have any Halloween stamps and paper, I thought it would make a great Halloween theme using the Lovely as A Tree stamp set and some shading. 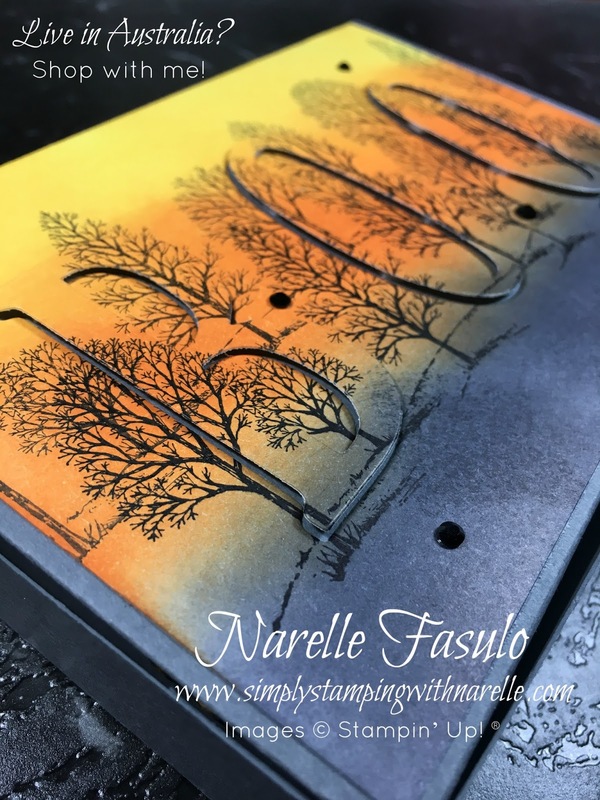 Now that you have seen my project, make sure you follow along with the rest of the blog hoppers to see all the amazing projects they have created. 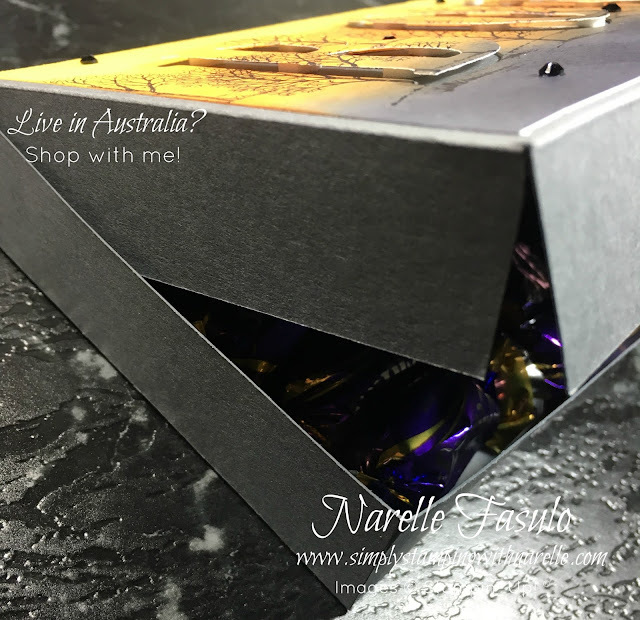 Remember that you are now visiting Narelle Fasulo, so if you get lost at all, just come back here and carry on with the list. 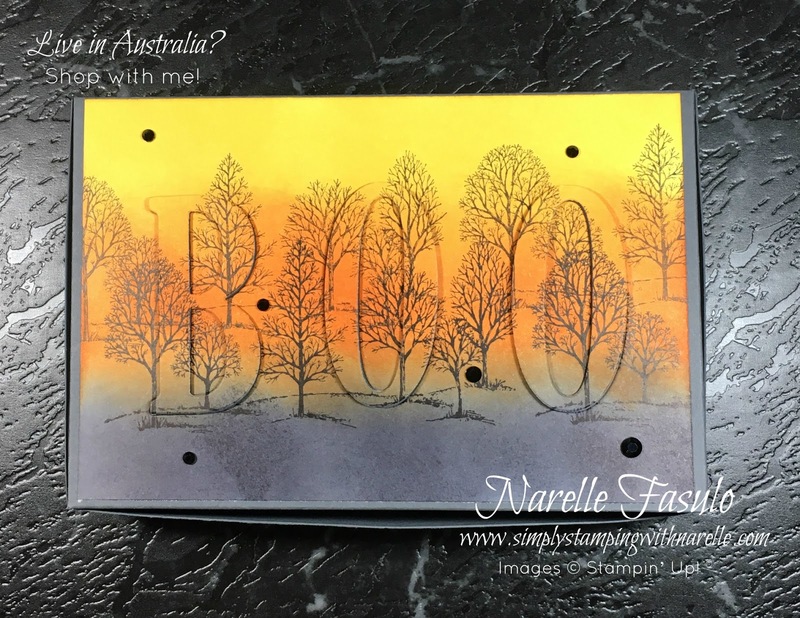 Love what you did with the large "BOO!" Great use of the eclipse technique!